How Do I Pick the Best Light Bulbs for Every Room in My House? Lighting makes a powerful statement in every room. The kind of light bulbs that you choose can impact everything from the level of your brain power to the schedule of your sleep. It’s quite obvious that you spend a considerable amount of time in your home so you need to make sure that it’s lit properly. The right lighting can make you feel relaxed and productive. You cannot just pick out a random light bulb and expect that it will match your requirement. There are so many different types of light bulbs on the market that come in different designs such as the flicker flame light bulb; choosing just one can leave you feeling overwhelmed. How do I pick the right light bulb? Before you can choose the right light bulb for your house, you need to put several factors into consideration. For example, the purpose of that room; different rooms have different purposes so you have to make sure that you get it right. General lighting as acts as the overall lighting of a room. 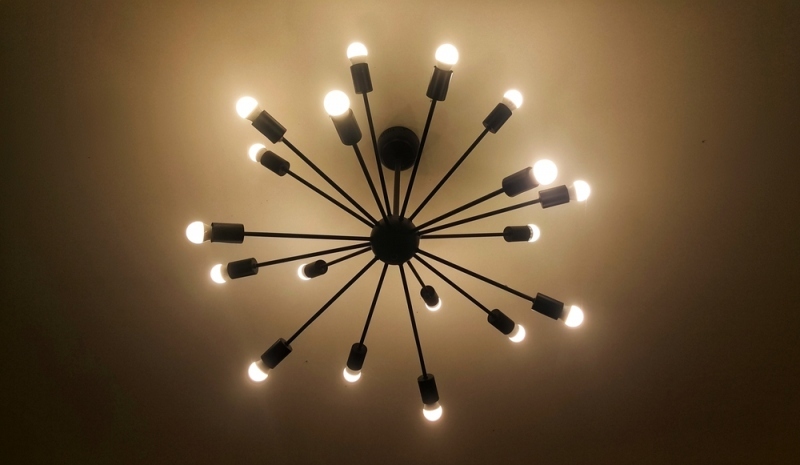 It functions to illuminate the entire room and is often considered as the room’s “natural light.” For general lighting purposes, you may use a chandelier, wall sconces, pendant light, or track lighting. Task lighting is supposed to light up a working or reading area. This lighting is supposed to be brighter than the ambient lighting. The light source should create a contrast that focuses on the specified area. Desk lamps are commonly used for this type of lighting. Accent lighting is intended to highlight a particular area, creating a shadow around the object for a more dramatic effect. Landscape lights and wall lights are commonly used to give this kind of effect. What kind of illumination do I need for various rooms? In order for you to properly illuminate the different rooms using the techniques that we mentioned above, consider how each of the rooms will be used. Generally, start off with ambient lighting and then consider task and accent lighting. Another thing that you need to consider is where the light will do in the room. Use accent lighting in one of the room’s corners, in addition to ambient lighting. Use the accent light to focus on a piece of art or furniture. To add to your ambient lighting, get a lower task lighting to illuminate the sink and the counter space. Add task lighting to on your bed stand, facing away from the bed. It’s recommended that the source of light be angled in such a way that it faces the dressing area. It can get quite tricky when installing lights. You need task lighting for the mirror as well as an overhead task light that creates shadows.